ZYLK is leader optimising open-source solutions and driving digital transformation for a wide range of clients including private enterprise, public administrations and government bodies across Spain and Europe. Since 2004 we have provided expertise on the design, development and integration of Java open-source enterprise products, specialising in Enterprise Portals, Document Management, Big Data, Business Intelligence and Digital Signature. We believe in the potential of open-source software and how it can enable enterprises to adapt and benefit from changing business environments. ZYLK are a Silver Service Partner of Liferay, a Hortonwork Official Partner, and Official Systems Integrator for Alfresco ECM and Pentaho BI. ZYLK team is composed of highly experienced professionals in the area of open-source solutions. Our developers are trained and certified by Liferay and Alfresco, having over 5 years of experience working with both platforms. We have an agile and flexible team, who are capable of adapting to new technologies, such as the most recent especialization in the areas of Business Intelligence, Data Visualisation and Big Data. Our team's approach is unique for digital enterprise allowing our clients to make better decisions with quality data and to create multi-channel optimised digital experiences. Zylk was born betting on the principles of open source software. Cooperating and competing to offer sustainable, robust and effective software solutions, such as Sinadura Community contributing and releasing code every year. Its commitment is extended to other open source communities like Liferay or Alfresco. In addition promoted from industry associations this business model, dedicating resources and efforts and leading the boards of ESLE and ASOLIF. A business model that allows a continuous innovation and a better distribution of wealth. Our customers, our team and society in general are benefited every year. 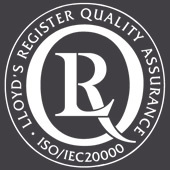 We have been awarded the quality certificate ISO 20000-1 as a Service Management System (SMS) standard. It specifies requirements for the service provider to plan, establish, implement, operate, monitor, review, maintain and improve a SMS. The requirements include the design, transition, delivery and improvement of services to fulfill requirements. ZYLK has provided leadership in the free and open-source software sector in Spain since its formation in 2004. We have always worked strategically through associations such as ESLE (Basque Free Software Association) and ASOLIF (Spanish National Free Software Association) to develop projects in this sector and to give advise on public policies. Through our presidency and association with ESLE and ASOLIF, we have aimed to defend and promote the interests of organisations that work in open-source software, through the development and support of projects that grow businesses in a way which is sustainable and responsible. ZYLK is the driving force behind the formation of Sinadura, the free software community which offers products and services related with digital signature. This is a project born from the needs of ESLE members requiring to the implementation of an e-invoice process in the Linux OS. Nowadays it still being empowered and sponsored by ZYLK and shows a growing number of collaborators.